1 oz PERFORMIX ReRack White Vinyl Dishwasher Rack Repair Rubber Paint Coating!!! GEH WB57T10111. Glass Oven Dr Otr White. Glass oven dr otr whiteProduct Features Color : White. White / almond reversible panel for built-in dishwashers. 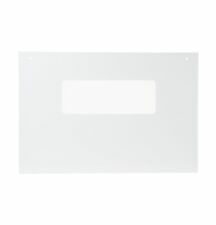 Dishwasher Panel Kit - White/Almond Reversible. Genuine GE part. Microvisorhood- a mini hood extension for a microwave over the range-"WHITE"
Cooking vent hoods are vital for capturing and exhausting the cooking odors, smoke, and grease from cooking. This is NOT a microwave oven, but an "add on" to your existing microwave over the range. ® SB-30(S/W/B) may require the use of a 5/8” nylon spacer on microwaves over the range models that have doors with a convex bottom (curved), or require the need to drop the attaching bracket lower for installation due to irregular microwave bottom.These doors project below the bottom of the microwave oven to which these doors are attached. Designed to fit specific General Electric manufactured Microwave models including Hotpoint & RCA. The mounting holes are offset on each end of the handle. The overall length of the handle is 11-1/2". "PERFORMIX". RERACK VINYL RACK REPAIR! Flexible rubber coating exhibits excellent adhesion to dishwasher racks and other vinyl coated racks. Resists heat, high water pressure, protects against rust and is easy to use. 4.5 out of 5 stars - 1 oz PERFORMIX ReRack White Vinyl Dishwasher Rack Repair Rubber Paint Coating!!! 84 product ratings84 product ratings - 1 oz PERFORMIX ReRack White Vinyl Dishwasher Rack Repair Rubber Paint Coating!!! General Electric WR24X450. White Magnetic Gasket. White Magnetic Gasket W / Dart Type Mounting 10/10kc. Ref Gasket All One Piece Per Factory 27-7/8" X 39-3/8". Refrigerator Parts. We will do everything in our power to see that you get your item. Note that appliance parts can look similar in many ways. Include your Model number and Serial number. We can verify the kit will fit your model. New ListingPerformix ReRack WHITE Vinyl Dishwasher Rack Repair 1oz NEW! PERFORMIX RERACK VINYL RACK REPAIR. Flexible rubber coating exhibits excellent adhesion to dishwasher racks and other vinyl coated racks. Resists heat, high water pressure, protects against rust and is easy to use. 4.5 out of 5 stars - Performix ReRack WHITE Vinyl Dishwasher Rack Repair 1oz NEW! 84 product ratings84 product ratings - Performix ReRack WHITE Vinyl Dishwasher Rack Repair 1oz NEW! WHI 4393777 Handle - Door White. Shipped with USPS Retail Ground. Made out of premium quality plastic, this tray is sturdy and durable. It is hassle-free in the cleaning required as it is dishwasher safe. The tray is designed in way that it can also be used for serving. GE JVM1340WW02 GE JVM1350WW02 GE JVM1339WW02 GE JVM1331WW02 GE JVM1330WW02 GE JVM1350WW03 GE JVM1330WW03 GE JVM1341WW02 GE JVM1340WW03 GE JVM1331WW04 GE JVM1331WW05 GE JVM1341WW03 GE JVM1330WW05 GE JVM1339WW03 GE JVM1331WW03 GE JVM1331WW01 GE JVM1350WW01 GE JVM1330WW01 GE JVM1330WW04 GE JVM1339WW01 GE JVM1340WW01 GE JVM1341WW01. 100% original and genuine part. Snow White Paint Touch U. Basic Recovery Fee 24 Hour Response. The Basic Recovery Fee will still apply. Ice Machine. Plumbing, PVC, Copper. Is the item the correct part type, but a different part number?. Microwave Parts. We will do everything in our power to see that you get your item. Fit Models: (To search press CRTL F and enter your model number). Note that appliance parts can look similar in many ways. 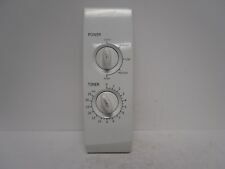 Genuine OEM Whirlpool Dishwasher Vinyl Touchup Paint. Refrigerator / Freezer. Basic Recovery Fee 24 Hour Response. The Basic Recovery Fee will still apply. Ice Machine. Plumbing, PVC, Copper. Is the item the correct part type, but a different part number?. 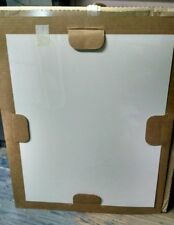 Basic White for Glass Safeplate. For sale is a turn wheel for a microwave. This is the generic ones that you usually get when you buy a new microwave. We strive for excellence and want everyone to be happy. Replaces the following part numbers: TJ98QBP0303, AP5638990, 98QBP0303. Microwave Parts. We will do everything in our power to see that you get your item. Fit Models: (To search press CRTL F and enter your model number). GE JVM230WV01 GE JVM240BV01 GE JVM240WV01 GE JVM231WV01 GE JVM230WL01 GE JVM240WL01 GE JVM250WV01 GE JVM240WL02 GE JVM230WL02 GE JVM239WV01 GE JVM240AV01 GE JVM250WL03 GE JVM231WL01 GE JVM231WL02 GE RVM225WL02 GE JVM239WL01 GE RVM225BL01 GE RVM225BL02 GE JVM260WV01 GE JVM239WL02 GE LVM235WL02 GE RVM225WL01 GE JVM250WL02 GE JVM250WL01 GE LVM235WL01. Samsung SMH1611W/XAA-0000. Samsung SMH1622W/XAA-0001. Samsung SMH1713W/XAA-0001. Model: 6549W1S1013K. Color: Grayish white. 1pcs Microwave Oven Motor. Motor Size:66mm 63mm 31mm. Due to the different monitor and light effect, the actual color of the item might be slightly different from the color showed on the pictures. All of our parts are tested and sent in working order. We are all reasonable people and as long as the communication channels are open and clear, we have no problems accommodating special circumstances. Halo 6" Air-Tite Shower Lens White Dome With White Trim Ring 8" OD For Use With Halo 6" Recessed Housings H7ict H7rict H7icat & H7ricat Rated For 40W A19 Lamps.Halo air-tite shower lens white dome with white trim ring 8" od for use with halo 6" recessed housings h7ict h7rict h7icat & h7ricat rated for 40w a19 lamps. White trim with frosted glass lens PS version is wet location Listed for use in showers with non-conductive non-corrosive gasketed polymer trim ring Torsion spring retention Wet location rated. Partsmaster Pro White Dishwasher Airgap with White Cover 58451. Partsmaster Pro Air Gap Cap in White, 58465. MICROWAVE OVEN ROLLER RING! FROM A GE COUNTER OVEN! Authorized Dealer - Warranty By Manufacturer. Warranty: 1 Year Manufacturer Warranty. Details about Enrock Marine Single-DIN Car Boat Radio Dash Kit Protectors (Black / White). Details about Enrock Marine 6.5" High Performance Speakers (Black / White / Charcoal). · Hot and cold Frother options. 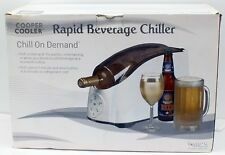 Makes frothed milk in just 90 seconds. · Heats Milk to 65°. · 240ml Milk Capacity. · Use with any type of Milk. used, in good condition. · Hot and cold Frother options. Makes frothed milk in just 90 seconds. · Heats Milk to 65°. · Use with any type of Milk. used, in good condition. · 360 Degree Swivel Base. Use the Prime-Line Products 3-1/4 in. White Wall and Door Knob Stop to help protect your interior walls from damage caused by swinging door knobs. This self-adhesive vinyl stop features an attractive textured white finish. . This beautifully designed aromatherapy humidifier uses ultrasonic technology that turns the water and water-soluble essential oils into mist, thus improving the atmosphere in the room and relaxing your mood. Sharp's mid-sized 1.1 cu. Mid-sized 1.1 cu. ft. capacity microwave oven for countertop use. Color: White. Replaces the following part numbers: TJ98QBP0301, AP5638988, 98QBP0301, 98QBP0301 . Microwave Parts. We will do everything in our power to see that you get your item. Fit Models: (To search press CRTL F and enter your model number). Size: 13"1 per CardTheme: PatrioticCostume Tie 2181256.